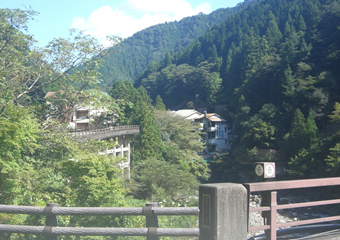 We are very proud of our hot spring, fresh foods, and fabulous scenery. 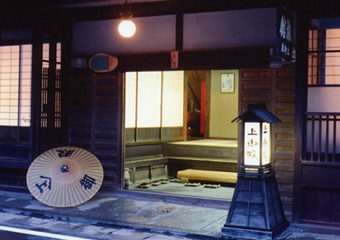 But the pride of Kamigoten is the building itself, having been registered as a prefectural tangible cultural asset. 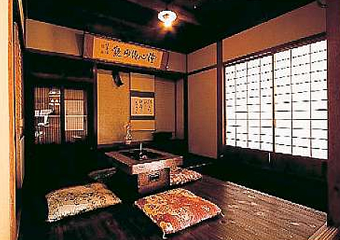 In the early 1600s, this room was built specifically for Yorinobu Tokugawa. 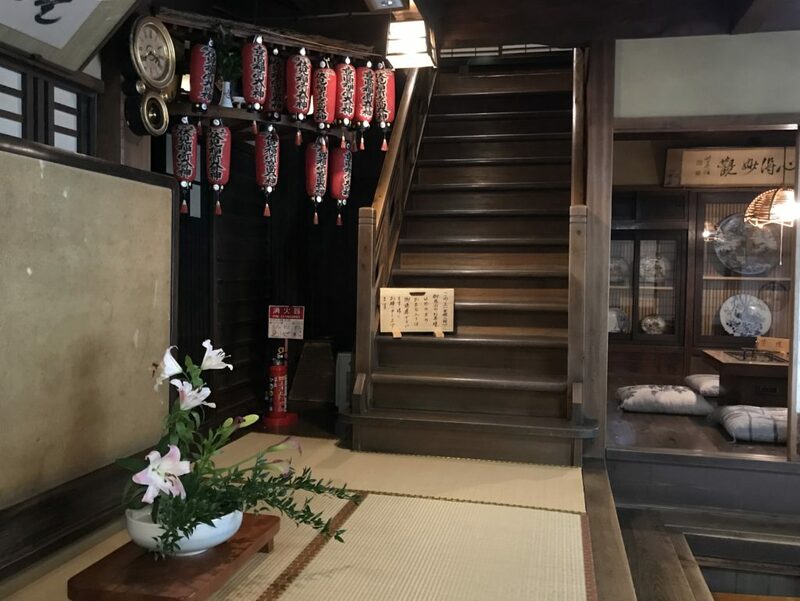 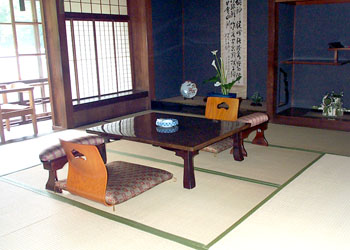 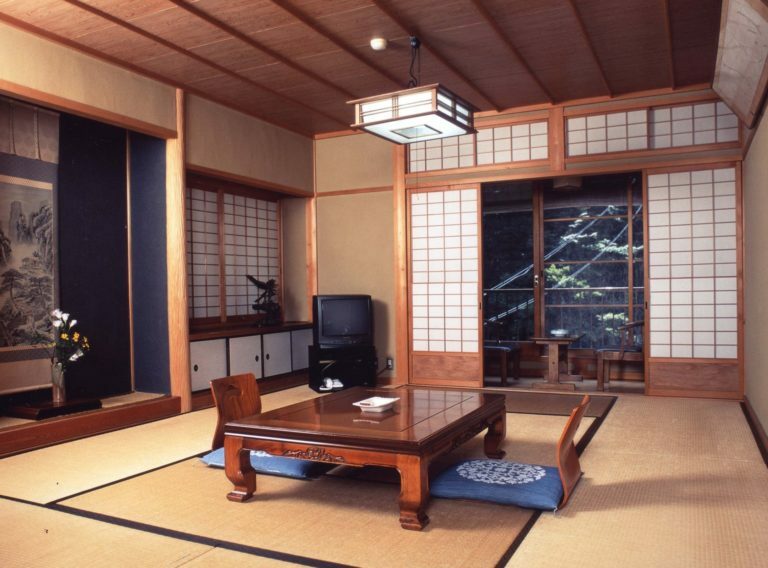 The furniture in the room is the same as Yorinobu Tokugawa used at that time.Spend a night here to experience the same environment as an ancient samurai ruler. 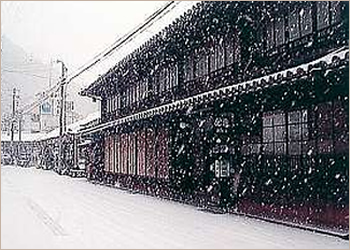 Our inn is surrounded by beautiful nature. 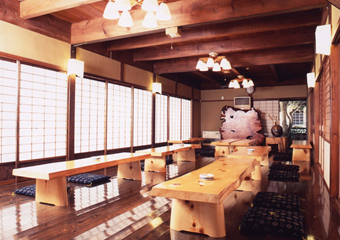 Please relax and enjoy the crystal clear rivers, waterfalls and lush forests in the area.